Deep learning machines have been generating incredible amounts of buzz in recent months. Their extensive abilities can allow them to play video games, recognize faces, and, most importantly, learn. However, these systems learn 10 times more slowly than humans, which has allowed us to keep the creeping fears of a complete artificial intelligence (AI) takeover at bay. Now, Google has developed an AI that is capable of learning almost as quickly as a human being. Claims of this advancement in speed come from Google’s DeepMind subsidiary in London. They say that not only can their machine assimilate and act on new experiences much more quickly than previous AI models, it will soon reach human-level speeds. If you’re unfamiliar with how deep learning works, it uses layers of neural networks to locate trends or patterns in data. If one layer identifies a pattern, that information will be sent to the next layer. This process continues until all the information is collected. Systems can be taught to learn differently depending on many different variables, such as the strength of the connection between layers. Significant changes in one layer can dramatically change how information is transmitted in other layers, or how it is “learned.” Deep neural networks have many layers, so when changes are present, the process of learning can take an incredibly long time. “Neural episodic control demonstrates dramatic improvements on the speed of learning for a wide range of environments,” the team told MIT Technology Review. “Critically, our agent is able to rapidly latch onto highly successful strategies as soon as they are experienced, instead of waiting for many steps of optimization.” Their method mimics the processes of learning that occur in human and animal brains, replicating what happens first in the prefrontal cortex and then, as a backup, in the hippocampus. It seems as though every day some new development in AI technology is being revealed to the world. From altruistic robot lawyers to predictions about the singularity, AI technology has been barreling forward. However, we have not yet reached “true AI.” No robots exist whose AI capacity matches the intelligence of the human brain. And so, while the realities of job loss as a result of automation and AI are becoming clearer every day, a “true AI” is not predicted to arrive any time soon. However, this development from DeepMind could be a huge stepping stone on the path to that future. While that might seem like a science fiction nightmare on its surface, the possible benefits are enormous. Applications for advanced AI technology range from health and medicine to agriculture and even scientific research. 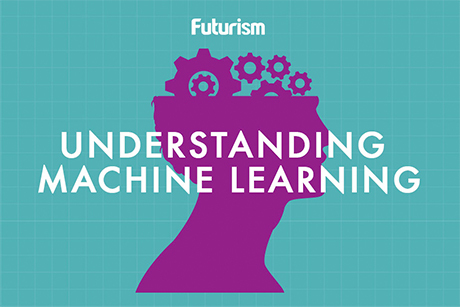 As AI gets better at learning, it can be taught more and more ways to improve our lives.